Oscar Peterson. 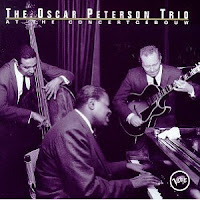 The Oscar Peterson Trio At The Concertgebouw (1957). As I was thinking about who to add to the first fifty posts, I looked over the prior picks to see if there were any blatant omissions of jazz greats to date. I seemed to have missed Oscar Peterson, one of the greatest jazz piano players of all time. Peterson was known for "his prodigious technique at the piano, and his tremendous sense of swing." As one critic put it, his "speed, dexterity, and ability to swing at any tempo were amazing." Peterson recorded over 200 albums, the best of which, in my opinion, are the ones with his great trio of the mid-1950s, consisting of Ray Brown on bass and Herb Ellis on guitar. They made several excellent recordings, including The Oscar Peterson Trio At The Concertgebouw, which was actually recorded not at the Concertgebouw in Amsterdam, but at the Civic Opera House in Chicago. 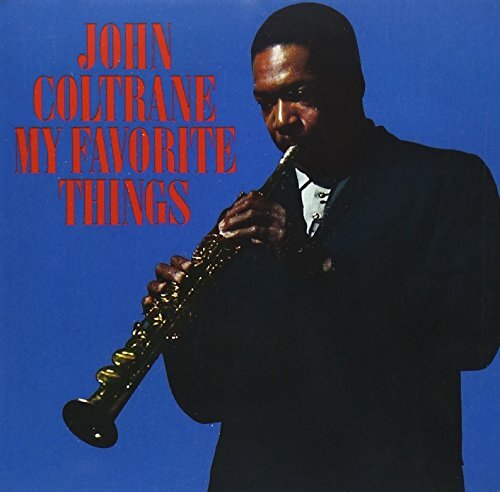 One reviewer noted that this album finds the trio at the "peak of its powers." Peterson sounds "especially inspired," with "the very tricky arrangements sandwiched between remarkable solos."